Grades slipping: It is very common for a student’s grades to drop after they are accepted into college. They reached their endgame so they no longer have the motivation to do well in school. At the end of the year, they may have A.P. exams to take which they will want to do well on as it could help count as college credit. But all other classes may seem pointless to do work for. At the end of your teen’s senior year, it’s important to keep track of their grades so that you can see how much their grades do slip. It is okay, and normal, for their grades to drop a little but you don’t want to see them failing classes since that will jeopardize them from graduating. Wanting to take a sick day from school: As the weather gets warmer and the freedom of summer is near, your teen may become less and less motivated to attend school. You may find that your teen wants you to call them out sick when they are not actually sick. If your teen is burnt out they may need to take a mental health day and that is okay. However, you don’t want them taking off many days of school since this could also jeopardize them from graduating by having too many absences or falling too behind in their classes. Arriving late to school: Lateness to school can easily increase as the year comes close to an end. This one is harder to track since usually a teen can show up late to school and be marked late, but as the parent you may not get notified. If you are not bringing your teen to school yourself then you should check in monthly on how many lates they have gotten. Lates can add to absences or sometimes detention in schools. Lack of interest in school related activities or sports that they used to enjoy: It is likely that if your teen has been playing soccer since the 1st grade that they may get sick of it now. Sometimes being a senior on a sports team or in a club can be exciting though as you are respected more by others on your team. Sometimes though senioritis can kick in and your teen may lose interest in the activity they used to enjoy. Showing anxiousness about going to college or the next steps after graduation : Graduating high school is a huge deal. It comes with a lot of anxiety about what your teen will do next, who they will become, and what their purpose is in life. There are a lot of unknowns to come and this can cause anxiety and worries. It is completely normal for your teen to show anxiousness during this time. If they are open to talking about it with you then just lend your listening ears and support them! Feeling a lack of purpose: This is a big question that teens start to ask themselves throughout high school. They often feel pressure to decide what exactly they want to do with the rest of their life. Even as an adult, you may find yourself not knowing your exact purpose in life. And that’s okay. You want to talk with your teen and remind them that they don’t have to have everything in life figured out now. Confusion as to what they want to do next: A common major in college is undecided for a reason. A lot of students don’t know exactly what career they want to go into so they go into college undecided and try out different classes. Some students even decide to take a gap year in which they don’t attend college right after they graduate high school. They may use that year to work, to travel, or to do whatever they want. All of this is common for a teen to figure out what they want to do next. Increase in wanting to spend time with friends outside of school: The amount of time your teen spends with their friends outside of school will most likely increase. Senior students start to realize that they will be separated from their friends soon and want to spend as much time as they can together. Feeling agitated and moodiness: Your teen may show agitation and/or moodiness more than they have in the past. This is not a sign of concern as anytime there is a change in your life, your mood is usually going to shift. It is common for teens to internalize their anxieties about the change and that can present as agitation towards family members. In this case, you want to support them but also give them space. Be aware of the signs and symptoms of Senioritis. Know the difference between senioritis and symptoms of anxiety, depression, or other mental health issues. If your teen is going through a serious mental health issue then it will greatly impact at least one aspect of their life in a negative way. Support your teen by being open to talking to them and validating their worries, concerns, or stress. Help your teen problem-solve what they want to do next and support their decisions. Give your teen space if they are presenting as more closed off or moody than usual. Give them time to come to you and talk or check in that they are talking to someone about it, whether it is you or not. Keep track of their grades and attendance so that they continue to stay on track to graduate on time. Be flexible if they want to decrease school activities and increase spending time with friends outside of school. Talk to them about their interests, next steps, and what they feel their purpose is in life. If they are confused then that is okay and let them know that is apart of life and things will come together as time goes on. Let them take that mental health day. Don’t go overboard by allowing multiple days off from school, but if they are asking for it then it can’t hurt to take a day off when a student feels burnt out. then you may want to bring them to see a counselor who specializes in seeing teens. A counselor can give your teen the safe and confidential space they need to talk about all of the worries in their head. Even if they are not experiencing anxiety, depression, or a mental health issue it could still be helpful to talk to someone to help them get through the end of their senior year. 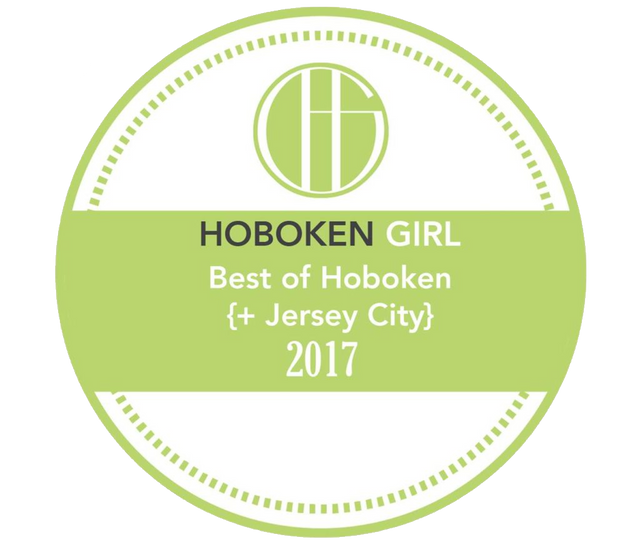 If you are looking for a therapist for your teen, I am located in downtown Hoboken, NJ and I can see any NY and NJ resident through phone & video sessions as well. Feel free to fill out the contact form below to reach out with any questions.